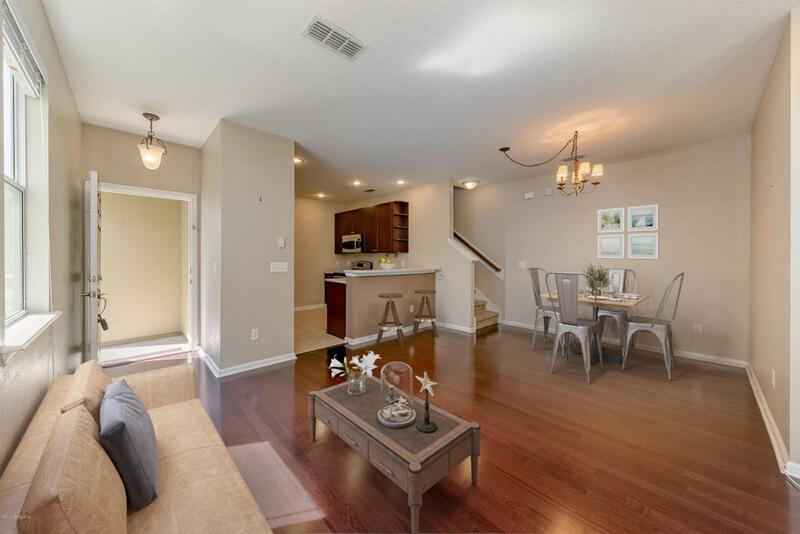 RARE 4 bed/2.5 bath END UNIT Townhome w. 2 Car Garage in Bartram Springs! 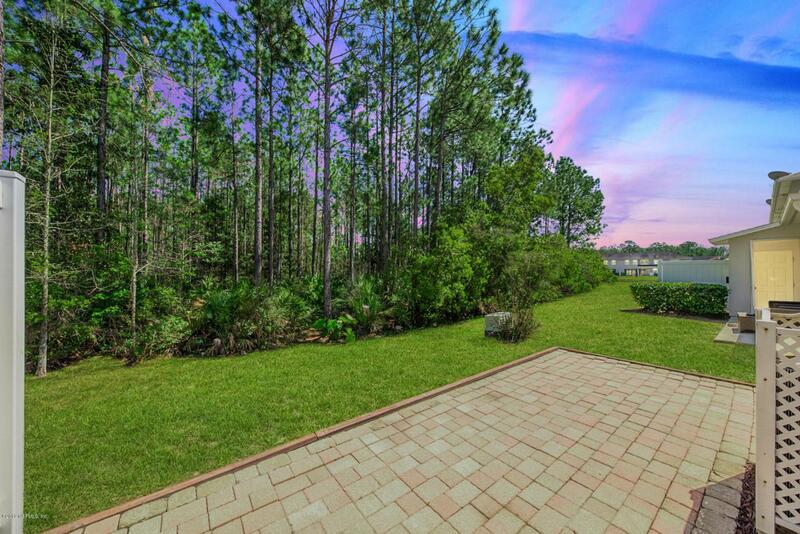 Enjoy the Private Nature PRESERVE from the SCREENED LANAI & Extended PAVER Patio! Will Sell FAST! TONS of Natural Light comes through the ADDITIONAL WINDOWS & reflects off of the beautiful ENGINEERED HARDWOOD floors! OPEN FLOOR PLAN is great for entertaining! Downstairs Bedroom w. En Suite Powder Bath is perfect for guests! Classy Kitchen includes CORIAN countertops, STAINLESS STEEL Appliances, Breakfast Bar, & Recessed Lighting! 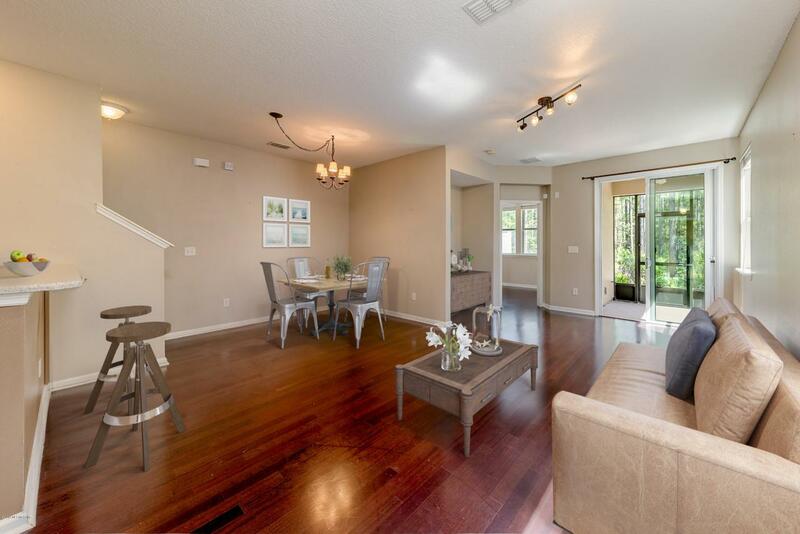 Upstairs, French Doors lead into the Spacious Master Retreat w. Vaulted Ceiling, WALK-IN Closet, & En Suite Master Bath! Additional guest bedrooms have Jack & Jill Bathroom! Newer Neutral Paint throughout. Washer & Dryer STAY! 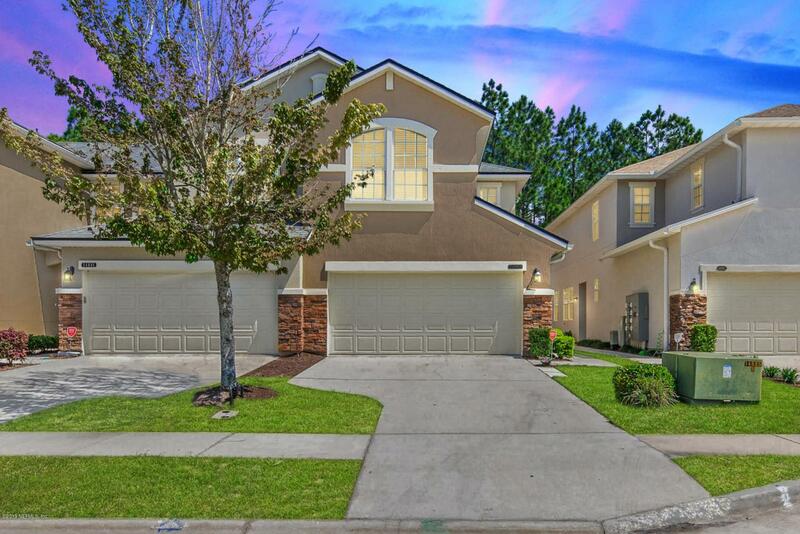 Walking Distance to Bartram Elementary School!Located in Desirable Bartram Springs! Resort Style Amenities include Pool w. Slide, NEW Fitness Center, Tennis/Basketball Courts, Sand Volleyball, NEW gazebo & Fire Pit! Bartram Springs Elementary School is located IN the Neighborhood! Close to the New Durbin Park Shopping Area which will include various shops & restaurants. DON'T MISS THIS ONE!